Back in May, me and few Bulu peeps went to Denver for SubSummit 2018. Apart from speaking on stage (and talking a lot with my hands evidently….) I also got the chance to moderate a panel and share stories with Subscription Box entrepreneurs, enthusiasts, and leaders from around the world. There was one thing that happened at the conference in particular that I believe marketers and executives at big brands should pay attention to. NEED to pay attention to. The HitWise report namedrops the “Subscription Boxes” everyone knows – Hello Fresh, BarkBox, Dollar Shave Club, Birch Box, StitchFix – you get the idea. Currently, it’s one of the best reports that documents our industry and I think it’s great and it gets everyone fired up in a good way. It’s important to note that the pieces missing are critical to the interpretation of the subscription box research. Let’s dig in. HitWise Report Says: “Subscription Box Monthly Visits are up [HUGE NUMBER]%” – but wait…. Looking at the trend data inside the HitWise report, the document points out the growth of monthly visits since 2014 (890% increase) and growth within specific categories as well. While I’m not suggesting there hasn’t been growth, I believe these numbers are skewed. Let me break that down, Let’s say a customer subscribes to Hello Fresh or a fashion box such as StitchFix, they must log in each month to adjust their meals/sizes/etc. This could present misleading data, as the growth of the subscription boxes is not directly proportional to the monthly visits. Be careful of how the data is compared. At Bulu we find that every Subscription Box has its own important metrics and we’re cautious not to compare an Onnit Keto Box to the Shark Week Box. Don’t forget Subscription Boxes that don’t fit in these “categories” presented in the HitWise report. There are many companies who have turned their traditional business model on its head and introduced a “Subscription Box” style product as a recurring revenue stream. But many of these companies don’t fit in the data presented in the HitWise report. For example, we’ve worked with GNC to create their rewards and Subscription Box program. Offering their products as a “Subscription Box as a Reward” isn’t categorically the same as a “Vitamin Sample Subscription Box” like Bulu Box, but it’s a great way to create loyalty and make it easier for the customer to get the products they already loved and bought in store or online. Plus, with a supplement or nutrition company, the constant challenge is to get the customer to continue coming back to get the product – after all, the product only works when you take it. In the HitWise report, there isn’t any mention or break out of these programs as the data surrounding them cannot be interpreted or compared in the same manner as a company like Birchbox. 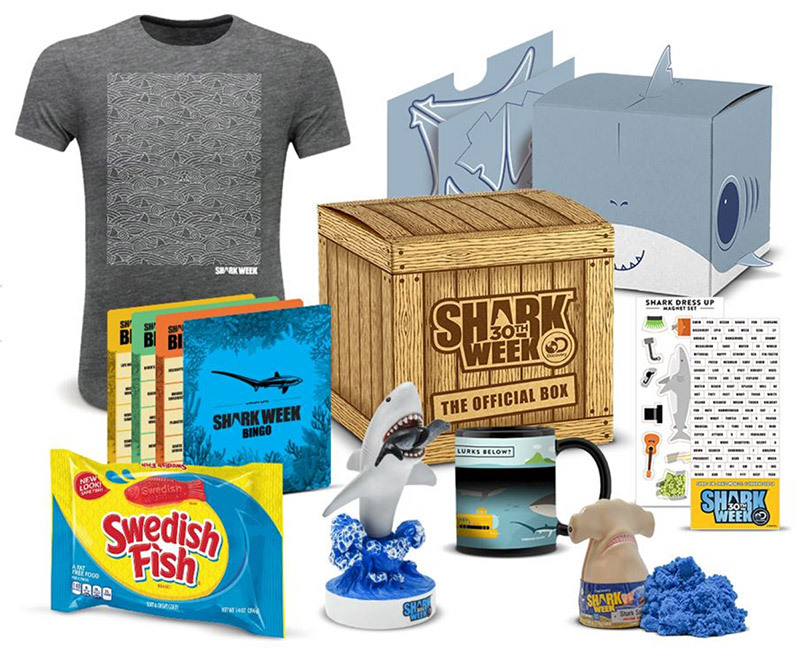 We recently helped the Discovery Channel launch a box for Shark Week. It’s not a monthly Subscription or something that’s meant to launch an entirely new revenue division inside the company. It’s being utilized as a marketing tool and with that, a brand new way to build customer loyalty and excitement while promoting merchandise. There are tons of killer companies who could benefit from thinking about a 1-off box for a new service launch, a customer re-engagement tool, or even a PR ploy. While this type of box isn’t explicitly referenced in the data, it’s supported by one of the key takeaway points – “know your audience and grow with them; find a niche” – it’s the engaged and raving fans that love the 1-off boxes! Another note, big note, huge note...epic thing! What HitWise's report doesn’t calculate are Subscription Box sales on multiple platforms. For example, let’s say that “Company X” is selling their Subscription Box on their own website, on Cratejoy, Amazon, Ebay, Groupon or hell, they might be selling in-store only! This data is not accounted for. I’ve seen some Subscription Boxes for sale in places like Target and Walmart. While some pieces that need further exploration and clarification, as a whole, I do believe this report is a solid broad stroke of the industry. I think it gives a rough idea but for those of us “in it”every day we’re cautious to look at “online traffic” only and know that there are plenty of additional sales channels, so it’s important to take it with a grain of salt.